Part BBa_K2656003 is the promoter BBa_R0062 compatible with both Biobrick and GoldenBraid 3.0 assembly methods. This promoter is positively regulated by LuxR together with Acyl-homoserine-lactone. 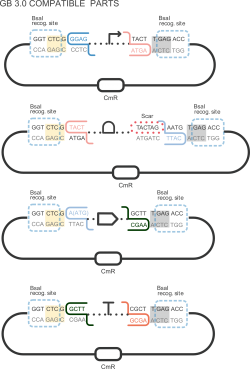 It can be combined with other compatible parts from our Valencia UPV IGEM 2018 Printeria Collection to assemble transcriptional units with the Golden Gate assembly protocol .